Premier Soccer League (PSL) chairperson Farai Jere has heaped praise on new Zifa president Felton Kamambo's leadership style, describing the new soccer controlling body as a winning team and the panacea to the problems that have held back the domestic game over the years. Jere, who is also a Zifa board member and president of Harare football giants, Caps United told NewsDay Sport yesterday, he was privileged to work with Kamambo, whom he said was a unique and straight forward character who has already shown the capacity to turn the ailing domestic game on its head. The Harare businessman said he previously had no connections with Kamambo, but since working with him in the new Zifa board in the past month following the December elections which toppled former association president Philip Chiyangwa, he has been impressed by his tolerance and general approach to issues. "I can tell you that I didn't know Kamambo. But having worked with him in just over a month, I have been struck by the way he conducts himself. He is unique and a straight forward man. He does what he says. He is not the mafia type, when it's a no, it's a no. He is also very tolerant," Jere said. The PSL boss said the new Zifa board had taken a different approach from previous administrations and that there was unity among stakeholders which has helped them attract corporate appeal as they embark on a major transformation of the domestic game. "We are now doing things differently. There is unity among stakeholders and last week I was in Bulawayo for the FC Platinum/Horoya match and Sports and Recreation Commission representatives were also there. The fact that this board has sealed a kit sponsorship in just over a month in office is also testimony to that, considering that our national team has not been kitted for a very long time. It's an important milestone which signals bigger things to come. Look, we have also introduced pre-sale of tickets for the first time, that tells you this board is very clear on what it wants to achieve. But what perhaps pleases me the most is that we secured a full sponsorship package that also takes care of the girl child because all our women's teams will also be kitted. This is a massive step by this board to try and transform our game," he said. On Monday, the soccer mother body announced they had clinched a three-year kit sponsorship deal with English sportswear giant Umbro, for all national teams with an option for an additional two years. The deal will be renewed annually. The association has had no kit sponsor since the expiry of their relationship with Mafro last year. This had seen national teams having to play with unbranded kits. According to the deal, Umbro will give the national teams new kits every year, and will replace the kits at the start of each season for the entire duration of the contract. Umbro is an English sportswear and football equipment supplier that designs, sources, and markets football-related apparel. They currently provide national teams of countries such as Peru, Serbia, Republic of Ireland and Botswana. They also sponsor Everton and West Ham in the English Premier League. Zifa have also introduced a pre-ticketing system for all the national team matches, a system that they will start using for the Warriors' decisive Africa Cup of Nations (Afcon) qualifier against Congo Brazzaville on March 24 at the National Sports Stadium. They said they will go all out to market the tickets with the hope that the game will be sold out. The association has said there will be no ticket sales on match day and at the stadium. 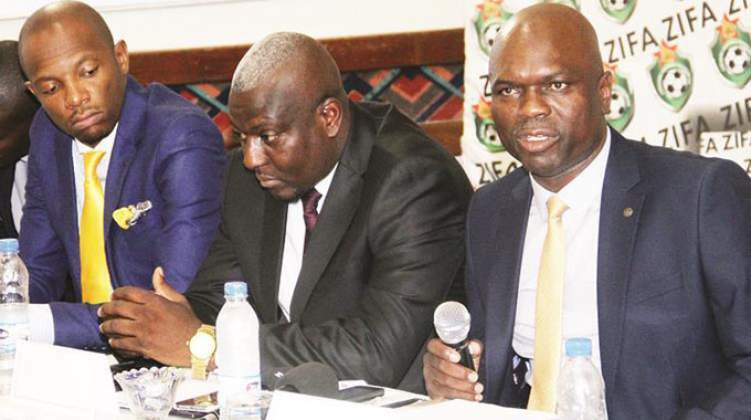 Zifa board member Chamu Chiwanza said supporters are warming up to the idea, and revealed that over 900 tickets were sold on Friday last week, the first day they were put on sale. The tickets can be purchased using EcoCash, Visa card, Telecash and Vpayments. To avoid the chaos that usually obtains at the gates towards the start of the match as fans rush to beat the kick-off whistle, Zifa said gates would be closed at 1:30pm. "The response from the fans has been very positive," Chiwanza said. The raft of the changes that Zifa have made has, as expected, received some criticism from some section of fans who feel that the 1:30pm cut-off time is too early. They argue that this would cause a stampede as ticket holders who might have failed to beat the deadline try to force their way. But Chiwanza has a justification. "It won't cause confusion. Our main priority as Zifa is the safety of our fans. After doing a case study of the Confederation of African Football Champions League match between FC Platinum against Orlando Pirates at Barbourfields, we saw some loopholes and we want to completely rectify that. So we will close the gates early, and it doesn't matter how important you are, if you come late, you won't be allowed access into the stadium. That is why we have put it on the tickets the exact time that we are closing so that people know well in advance. There will be enough entertainment to thrill people in the stadium and we want to do things differently." "The culture has to change. We are moving with the times, this is 21st century. The culture of buying tickets on the day of the match or at the stadium is over. We are in the era of pre-tickets and e-tickets, so we are doing away with the archaic culture because these are new times which demand new thinking." The cheapest ticket for the match has been pegged at $10, while a VVIP seat is selling at $200. Zifa said as part of the entertainment on the day, they have invited a world class act to perform.